One of the most often asked about features when dealing with inventory is the ability to keep track of inventory by bins in the warehouse. While The Warehouse Management System will benefit the accuracy of the items that are stored in the bins, careful consideration must be made during setup so when you go live, less additional work is needed for the system to work for you. On a macro level, before you eve consider implementing a warheouse management system, your warehouse itself MUST BE ORGANIZED! What I always tell customers is that the purpose of a computer systems is to help you do something faster. This means that if you’re warehouse is a mess, implementing a warehouse system will make it more messy, faster. However, if you’re warehouse operation is efficient and optimized, then implementing a warehouse system will help you become more efficient and optimized, faster. While there are many considerations for setting up warehouse management in NAV, this article will focus on one of the most overlooked areas. 2. When picking, they should pick from the eye level (or the level where they don’t need special equipment). This is typically the first level. Only when the above is exhausted, do we use special equipment and pick from the higher levels. The general rules are the same, you want to use the run time for the special equipment should be as minimal as possible. When the pick from NAV is generated, it will suggest the pick in the following order (assuming no bin ranking is used). As you can see, it will create the pick on a decending order. Why Suggest the Bins in Decending Order? 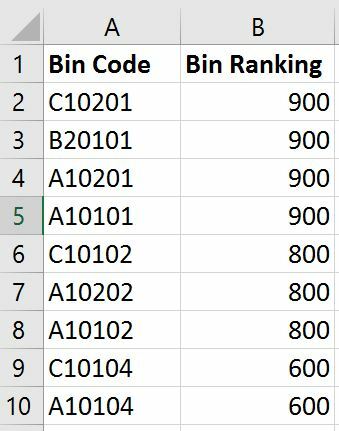 Why Not Use the Bin Ranking? We could. But tread carefully! 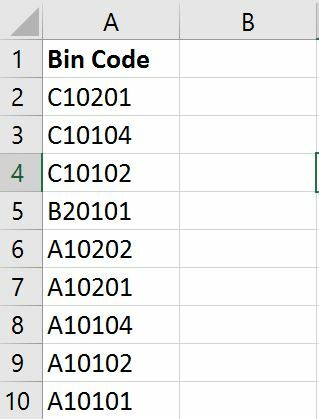 Bin Ranking provides a lot of flexibility on how the bins are ordered during the directed pick/put-away. Not paying special attention to how to rank the bins will give you more pain and suffering. This means that NAV will ask the warehouse picker to pick from the section that’s furthest away from the warehouse (assuming that’s section C). Very good for letting your warehouse picker get excercise, not really good for pick efficiency. 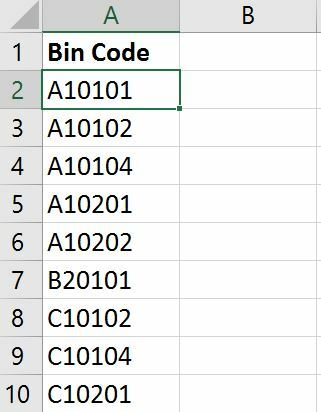 You will need to carefully configure how to assign the bin ranking. 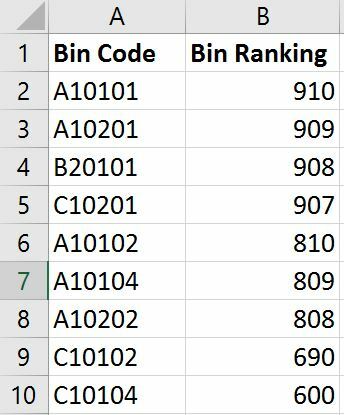 In addition, if there are any changes to your bins (add/remove), you will need to break out the spreadsheet and reassign all bin rankings again. 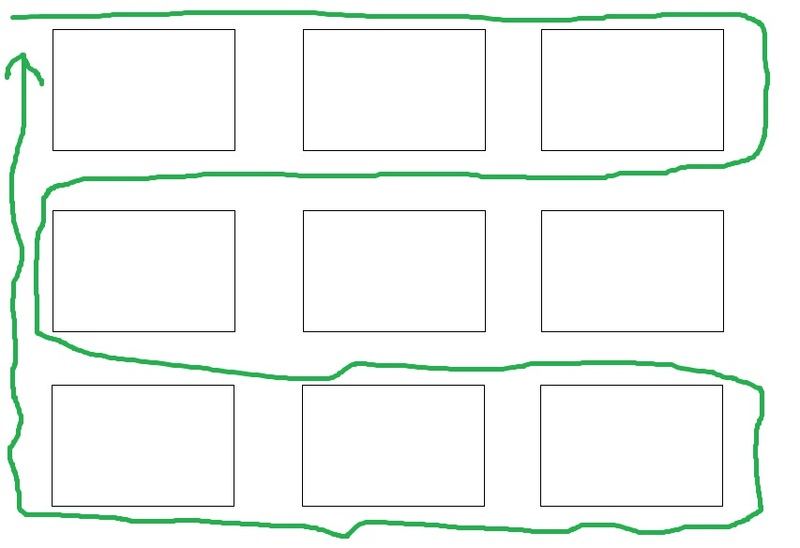 Doing so will allow Dynamics NAV to “sort” to pick from A section to D section. However, it will also ask the picker to pick from multiple levels first instead of the 1st level. This will ensure that all of the 1st levels are picked first. Then it will then pick the 2nd level, then the 3rd, etc. This option may not be feasible if you’ve already spent the time and effort on labeling all of your bins. This option may also not be feasible if you want them to pick from the same column once they got the forklift truck. However, this option will require the least amount of maintenance. Having implemented both methods for clients with warheouse management requirements for Dynamics NAV, both methods have their pros and cons. And they both work for the respective companies. Bin Ranking will work wonders if you take the time to set it up right, but maintenance is a hassel. Reconfiguring the bins is simple, but you have to becareful about how NAV sorts the bins. Again, both methods work. It really depends on how you implement this.